These have been made countless times by Mum and I now make them for my family. They are the number one favourite with my granddaughters. Method: Crumb biscuits (very fine). Mix milk, coconut, rum & cocoa together, add crumbs. Break into pieces and roll in coconut (extra). Put in fridge for 1 hour. 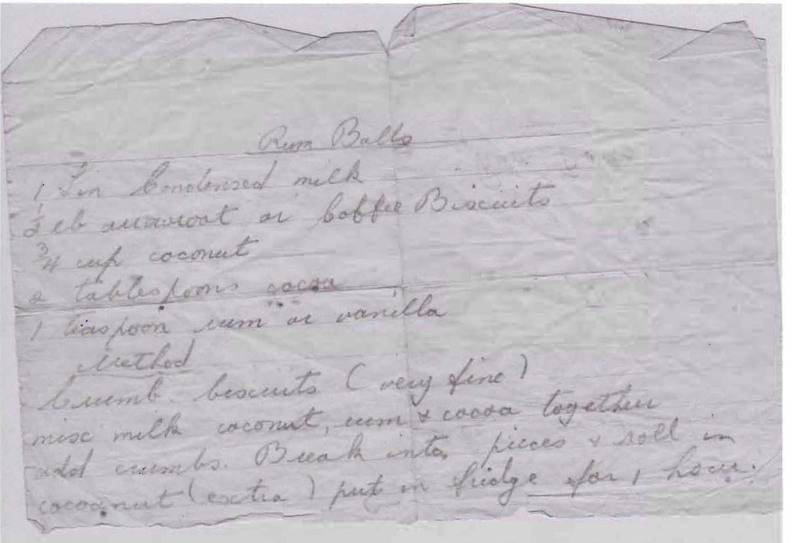 This entry was posted in All Recipes, Biscuits & Slices and tagged 1960s, biscuits, rum balls by bebsrecipes. Bookmark the permalink.